**You can select up to 2 colors for this price. At Check-out, please leave us a message of the colors you would like to be combined. If there is a specific color combination you are looking for, we can help! > Please email or contact our Sales Dept for available Colors and Styles. * Perfect for Elementary, High School & College Promotion & Graduation Ceremonies. ** Support & wear the colors of your favorite High School, College or Professional Sports Team. ** Adding a "NAME" or "Class of 20XX, is an additional charge. Please select add-ons separately. 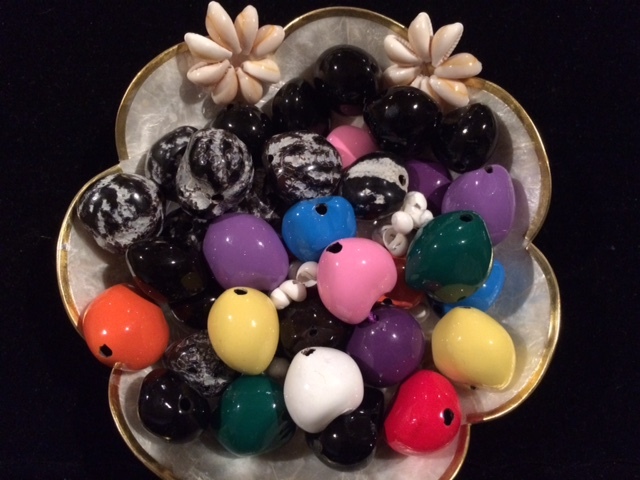 ***Please refer to: "Loose Kukui Nuts, DIY KIts, Mongo Spacers, Kukui Nut Threader, Supplies" Category for pricing.